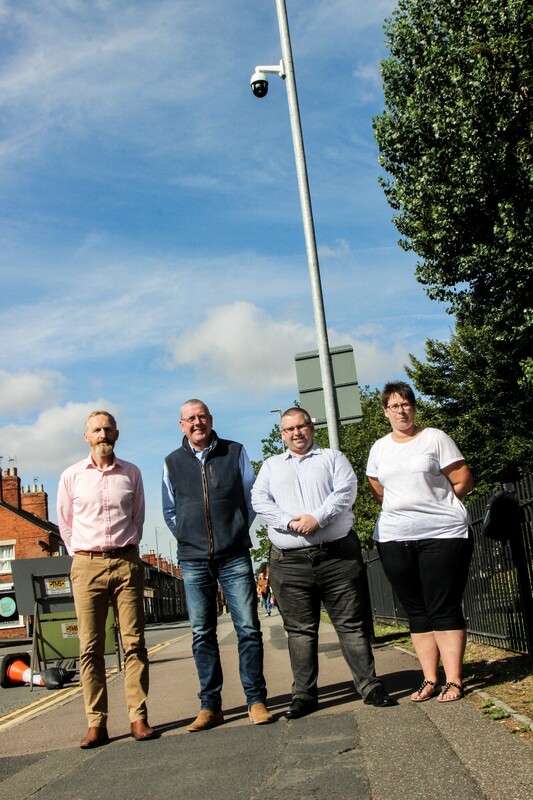 South Kesteven's CCTV network has been strengthened by a new camera at Springfield Road in Grantham. The additional camera gives South Kesteven District Council CCTV operators a view of Springfield Road itself, access points to the Bovis estate, the local play area and approaches to the nearby railway bridge. It was paid for through a planning agreement with estate developers, Bovis. Ward members Cllr Nikki Manterfield and Cllr Adam Stokes have been closely involved in getting the project to fruition. Cllr Stokes said: "We are pleased this is now in place. It's a positive move and will make the play area and neighbourhood safer for everyone." Cllr Manterfield said: "Local people have been pro-active in getting this pushed through, and they are the ones who will benefit most." Cabinet member for Environment, Cllr Dr Peter Moseley, said: "24/7 CCTV is a valuable contribution to the street scene and it's in a very visible location. "It will give residents peace of mind and help our partners in law enforcement to increase public safety and reduce crime across the wider area. "This is a good use of developer money to help our award-winning monitoring centre staff in their crime reduction role." SKDC owns and maintains CCTV cameras in Grantham, Stamford, Bourne, Market Deeping and Deeping St James, all monitored 24/7 by its award-winning staff. Its monitoring centre has been in operation since June 1997. It was involved in over 2,500 incidents in the year 2017/18, monitoring live incidents, assisting partner agencies and SKDC staff in their work. As well as relaying and recording images locally, images can be relayed to the police communications centre at Lincoln and to other district police stations. This allows senior police officers to assess incidents, ensuring that adequate resources are dispatched. Picture: Community Resilience Lead Mark Jones, with Cllr Dr Peter Moseley, Cllr Adam Stokes and Cllr Nikki Manterfield.